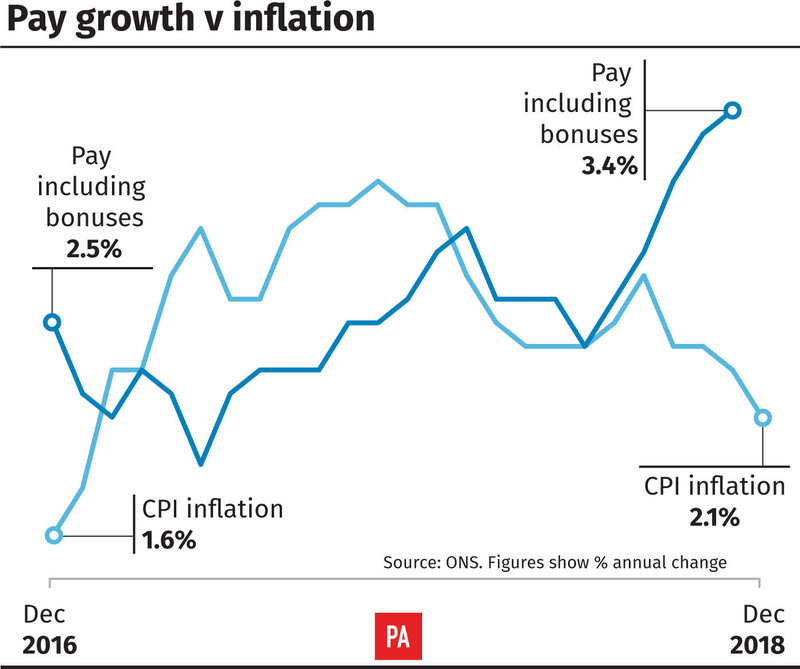 Average earnings increased by 3.4% in the year to November, the highest for a decade, outpacing inflation. 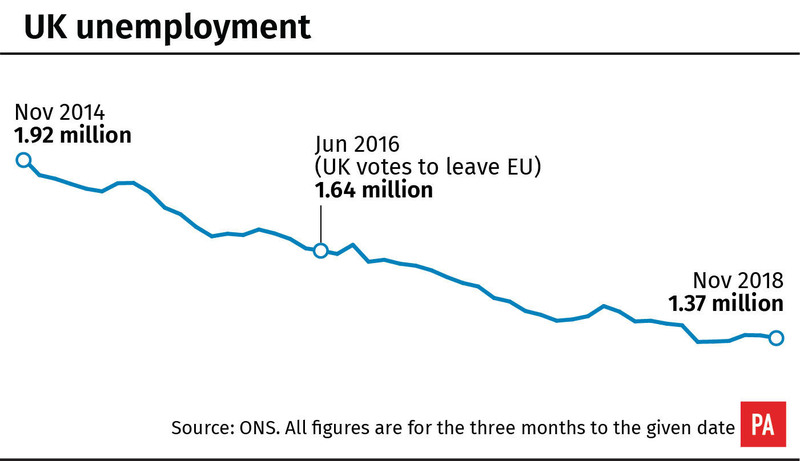 Unemployment also increased, up by 8,000 to 1.37 million, although the total is 68,000 lower than a year ago, said the Office for National Statistics (ONS). The UK’s jobless rate is now 4%, down by 0.2% on a year ago, and the lowest since 1975. The ONS said average weekly earnings, adjusted for price inflation, increased by 1.2%, including bonuses, compared with a year earlier. The number of economically inactive people fell by 100,000 in the latest quarter to 8.6 million, a rate of 21%, the lowest on record. Job vacancies were up by 10,000 on the quarter to a record high of 853,000, the ONS reported. Employment Minister Alok Sharma said: “Once again, we see a new record employment rate in the UK, with more people in work than ever before. “UK workers also got a much needed pay boost before Christmas with wages outpacing inflation for the tenth month in a row in November, growing at the fastest rate in a decade.